Erythritol has become a popular sugar substitute. It seems a worthy alternative considering it tastes and looks similar to sugar, but contains zero calories. But just how useful and safe is it? This article dives deep into the research to uncover the uses, health benefits and side effects of erythritol. Does Erythritol Offer Any Health Benefits? Erythritol is a calorie-free sweetener and sugar alternative. It is a polyol (sugar alcohol), and found naturally in some fermented foods and fruits. However most erythritol is man-made from cornstarch. It’s 70-80% as sweet as table sugar and has a mild flavor. It’s often preferred by those that don’t like the ultra-sweet taste of artificial sweeteners (1, 2). Erythritol is classified as a sugar alcohol due to its chemical structure. But this is not the same type of alcohol in beer, wine or spirits that gets you drunk (that is called ethyl-alcohol). Its molecular structure allows the body to absorb it but not metabolize or break it down. This is why it has zero calories compared to table sugar, which has four calories per gram (1). Summary: Erythritol is a zero-calorie sugar alternative that is 70-80% as sweet as table sugar. It’s classified as a sugar alcohol but this is not the alcohol that gets you drunk. Besides its role as a sugar alternative, erythritol offers some health benefits. 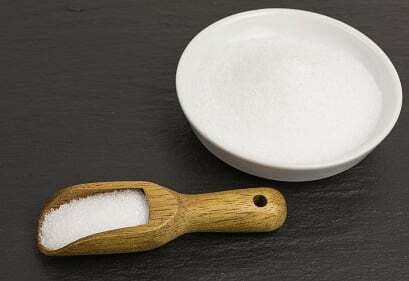 Table sugar is well known to cause negative impacts on oral health. For this reason many food products and toothpastes use alternative sugars to decrease the risk of cavities and tooth decay. 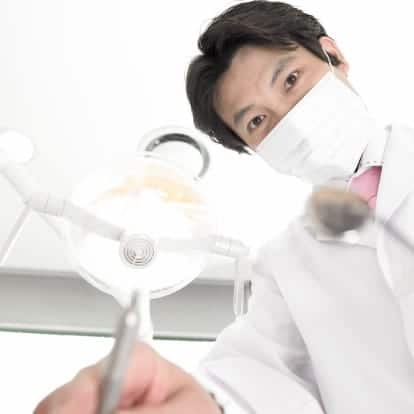 However, studies looking into erythritol’s impact on oral hygiene show mixed results. 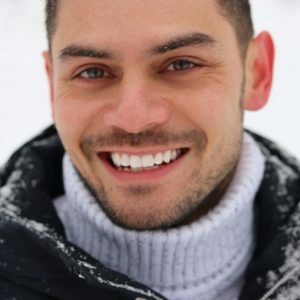 In one review, erythritol was shown to decrease dental plaque, oral bacteria, and the overall number of dental caries compared to xylitol and sorbitol (3). In a clinical study of 485 school children over a 3-year period, the use of erythritol decreased and prolonged the development of dental caries when compared with other alternative sugars (4). On the other hand, another study found that erythritol had no effect on plaque or oral hygiene when compared to other sugar alcohols (5). A sugar alternative like erythritol can be a great choice for those that are overweight or have diabetes or other blood sugar problems. 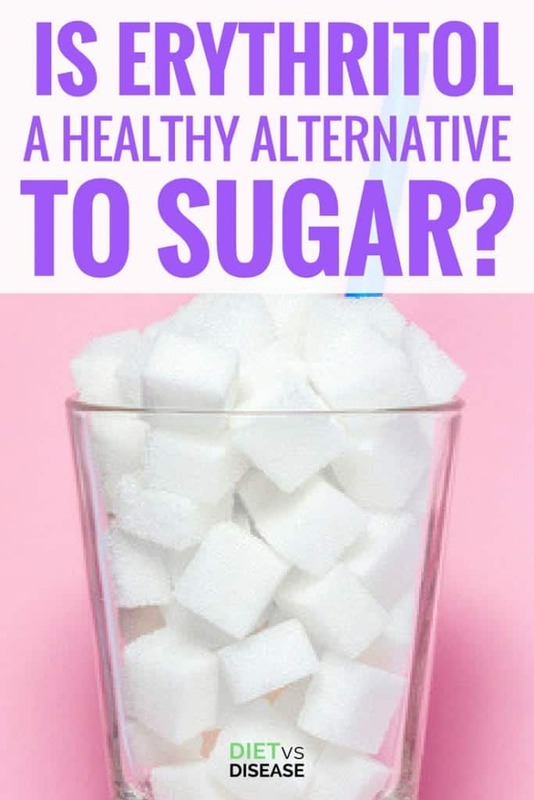 Multiple studies have found that the consumption of erythritol does not spike blood sugar or insulin levels in both non-diabetics and diabetics. Although these studies are limited in size, the data is promising (2, 6). Most sugar alcohols like xylitol and sorbitol ferment in the gut and often cause uncomfortable gas, bloating and diarrhea. In a small lab study, erythritol did not ferment in the gut or produce gas compared to its counterparts. Researchers believe these findings would be similar if studied in humans (7). Summary: Erythritol is better tolerated than other sugar alcohols. It may even improve oral hygiene and help with blood sugar regulation. While erythritol may offer some benefits as a sugar alternative, it’s important to be aware of its side effects too. Some of the science community believe that artificial sweeteners can lead to weight gain, obesity and even type 2 diabetes. When you eat sugar-containing foods your body inherently knows how to process them. It releases hormones that help you manage your appetite. When you consume manmade artificial sweeteners, your body doesn’t metabolize them and therefore doesn’t register that you’ve consumed anything. 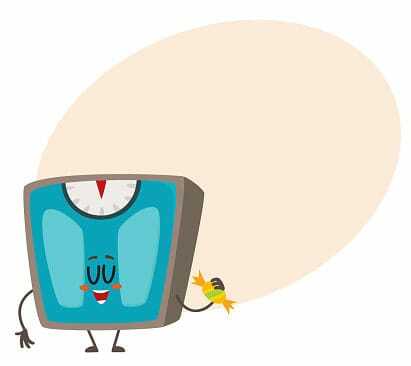 This leads to greater cravings and thus the risk of overeating and weight gain. Multiple large clinical studies show that people who consume diet food containing artificial sweeteners are at higher risk for overeating and weight gain leading to obesity and diabetes (8, 9). Whether this is because of the sweeteners directly or because those who consumes sweeteners tend to eat an unhealthier diet remains to be seen. Technically, erythritol is not an artificial sweetener like aspartame or saccharin, but rather a sugar alcohol. Because of this, more research is needed to determine if it also contributes to weight gain and overeating. Many people report GI distress, specifically nausea, irritable bowel syndrome (IBS) and increased gas when consuming erythritol. However, of all sugar alcohols available, erythritol is shown to cause less of these negative symptoms due to its small molecular size. Increased GI distress seems to be dependent on how much and how often someone eats it (10). Those following a low FODMAP diet are advised to avoid erythritol during the elimination phase, just to be on the safe side. Erythritol is often combined with other artificial sweeteners like aspartame to ensure adequate sweetness in a food or drink. Some researchers have found a link between artificial sweeteners and an increased risk of other health problems such as depression, weight gain, cancer and more. But these claims are associative (not causal) and remain unproven (11). Based on current evidence I would not worry about artificial sweeteners. Summary: Erythritol is safe and has few side effects. Some people will experience GI distress, but this often depends on how much and how often you consume it. Erythritol is often compared to stevia because they’re both natural sugar alternatives that are safe and accessible. Stevia is an alternative sugar that comes from the leaves of a stevia plant. Green leaf stevia is the least processed form of stevia and has very few, if any, negative side effects. 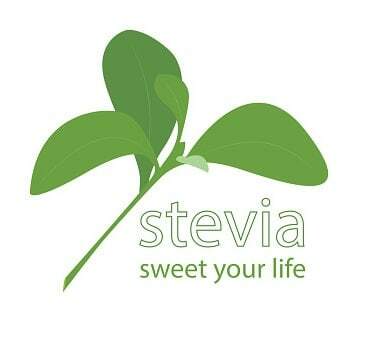 Stevia is also 250-300 times sweeter than table sugar so much less is needed than erythritol (12). Overall, there is no clear “winner” between the two. They are both safe to consume so it comes down to taste preference. Raw honey may also be another good sugar alternative to consider, unless you have issues with blood sugar levels. Summary: Erythritol and stevia are comparable sugar alternatives, though stevia has a few more health benefits. Honey is another great natural sweetener with many health benefits. Erythritol is a good choice if you’re looking for a calorie-free sweetener that looks and tastes similar to table sugar. It’s also a great sugar alternative if you have problems with blood sugar regulation. The few negative side effects of erythritol are minor, avoidable or need more research to prove. You may also want to consider natural sugar alternatives like stevia.